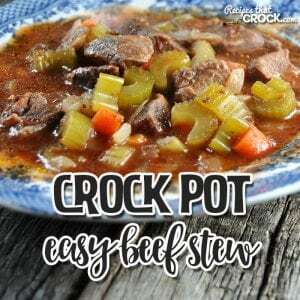 Easy Crock Pot Beef Stew - Recipes That Crock! 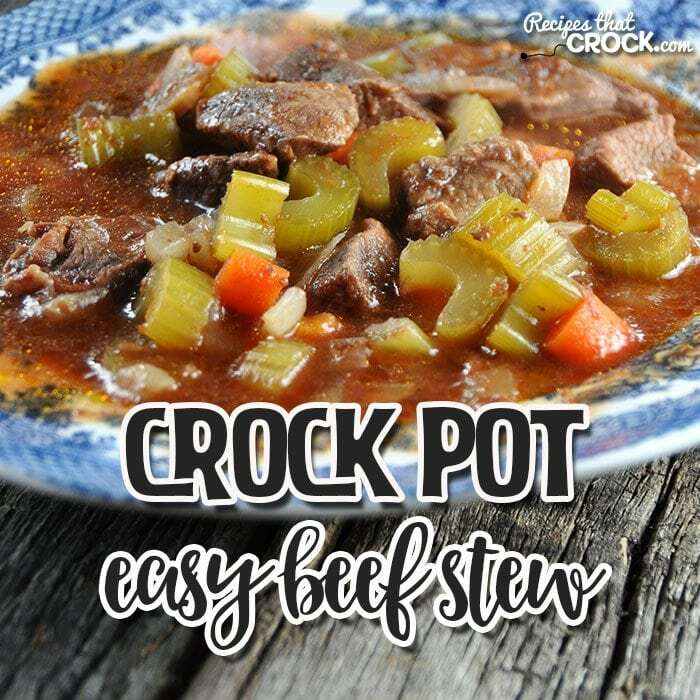 If you love a delicious beef stew with tons of veggies, tender beef and a yummy broth, then you’re in for a treat with this Easy Crock Pot Beef Stew! We were having a pitch-in at church. 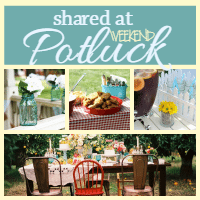 In case you haven’t heard of a pitch-in before, that is what we Southern Hoosiers call a potluck…actually, I never knew what a potluck was until after I was an adult. It was always a pitch-in when I was growing up. Anyway, back to the pitch-in…the week before I received a message from the lady at church who was putting everything together. She asked me to bring a crock pot of soup of some kind. I’m guessing she might have had a hunch that I would agree when she called. 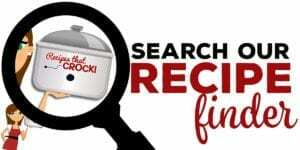 😉 I had been wanting to try out this Easy Crock Pot Beef Stew I saw in Cooking Light’s Slow Cooker Tonight and thought this was the perfect time to give it a go! Let’s just say out of crock pot full, one of us might get a lunch out of the leftovers! Considering how much delicious food there was, I consider this recipe a huge success! Don’t be scared of the prep work on this one. It is really simple. There may be chopping and slicing, but trust me, you can do it! Before this recipe, I had never even heard of granulated tapioca. It is different than a regular tapioca pudding mix. You can find it in the same aisle as the pudding mixes, but it is different. You can find the one I used here. I changed up this recipe a bit. 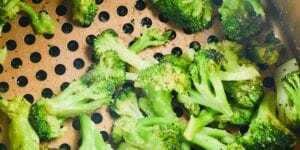 You can tailor it to your family’s likes by increasing or reducing the amounts of each of the veggies. 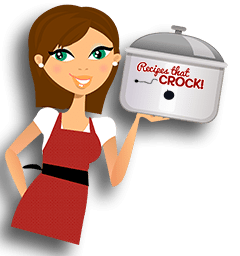 I used Corky, my Hamilton Beach Multi-Quart Slow Cooker. You can use your favorite 6-8 quart slow cooker. I wouldn’t go less than 6-quart if you are doing the full recipe. 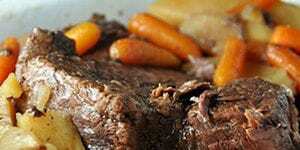 This Easy Crock Pot Beef Stew filled good ol’ Corky to the top. 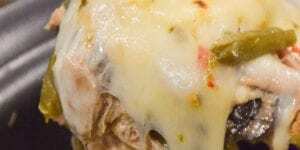 If you don’t need quite as many servings, you can easily cut this recipe in half. 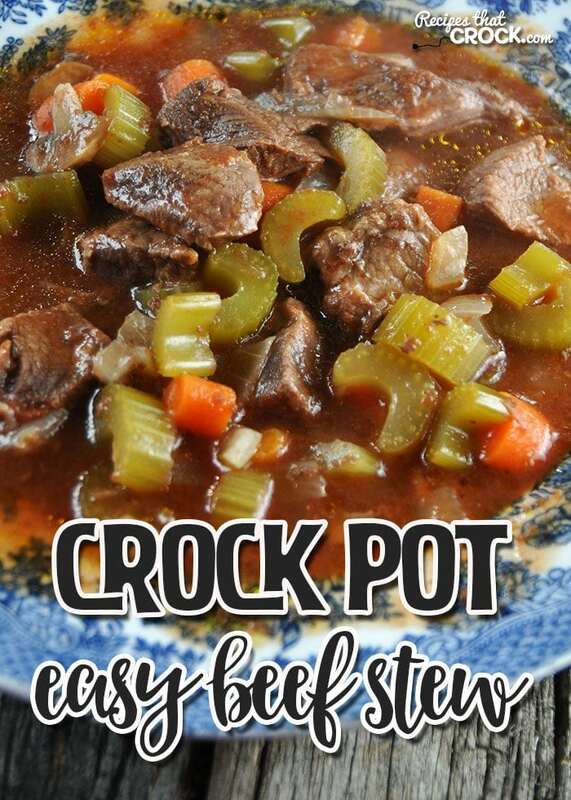 This Easy Crock Pot Beef Stew is not only easy, it is a flavorful one-pot meal! Beef Stew in the crock pot turns out so delicious! There is something about low and slow that brings the flavors together. I couldn’t agree more Kim! It is so good that way! Enjoy! Hi Aunt Lou, do you think I could use corn starch instead of the tapioca? 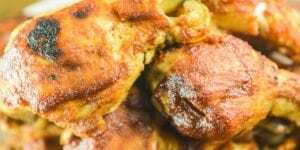 I haven’t tried it with this recipe, but I have used cornstarch as a thickener in other recipes. I would add it at the end instead of at the beginning. You will need to mix 1 tablespoon of corn starch with 1 tablespoon of water. Pour the slurry into your stew and cook on high for 15-30 minutes, stirring occasionally. Enjoy! Did you ever try this using the cornstarch? I haven’t tried it yet, but think it would work pretty well. If you give it a try, let me know what you think! Made this today and it’s totally yum. I did put in a bit of sugar, but other than that, didn’t change a thing. Thanks!!! Sounds delicious! I’m so glad you enjoyed it! I love leftover soups, stews and chilis! I think they taste better the next day too. Enjoy! The picture on this recipe looks amazing. Do you do your own photos? 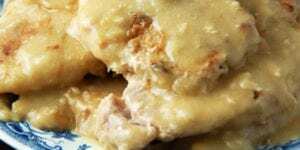 I am going to try this recipe over the weekend. With fall here and the leaves falling like crazy, this will be a perfect meal. While I’m out raking and mowing, my handy dandy Hamilton Beach will be preparing my meal. Hope we have leftover as this is my favorite with some soups and stews. I think they taste better the next day. I cooked with tomato juice before in my crockpot. It has a plastic lid and the acid in the tomato juice clouded my lid, tried to clean and it wont come clear again. Do you think I ruined it? You might try some of the tips that our friend Taylor suggests in this post: http://www.stain-removal-101.com/how-to-remove-tomato-stains-from-plastic.html. Good luck! The recipe sounds delicious,but I will cut it in half the first time I make it as an experiment so I don’t have too much left over. Great idea! It makes quite a bit, so cutting it in half will be perfect if you don’t need as much. Enjoy!